With polls suggesting a third of the electorate is still undecided about who to vote for in the German election, candidates have been out and about doing some last-minute campaigning. While Angela Merkel is widely predicted to be re-elected chancellor, her Conservative CDU party seems to have taken a last-minute dip in support. 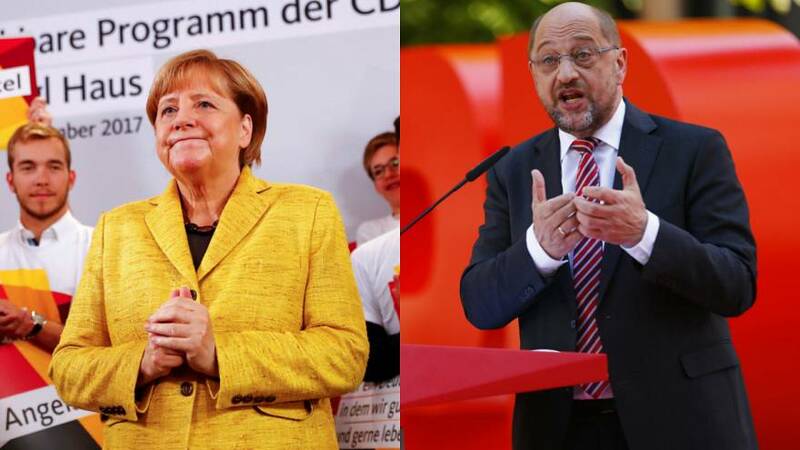 It has slipped to 34 percent, polls suggest, while Martin Schulz’s Social Democrats are polling at 21 percent. He thanked his supporters during a walkabout in his hometown Aachen, western Germany. His SPD Party, which has been the junior partner in Germany’s Grand Coalition since 2013, is predicted to suffer its worst-ever result. However, Schulz said he was confident everyone would be surprised by the outcome of the election. The Liberals, under Christian Lindner, are expected to make a comeback after failing to reach the five percent threshold required to enter parliament four years ago. The party is vying to win the third-highest number of votes and has said it wants to be offered the position of Finance Minister, if it enters into a coalition with the CDU. The AfD – Alternative for Germany – has also been out on the campaign trail. Polls suggest support for the anti-immigration party has risen to 13 percent, meaning it is increasingly more likely to become the first far-right party to enter the German Parliament since the end of World War II. It could also become the biggest opposition party.